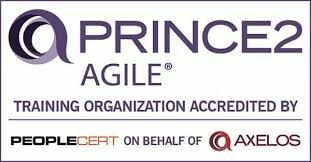 PRINCE2 Agile™ is the complete project management solution, combining the flexibility and responsiveness of agile with the clearly defined framework of PRINCE2®. PRINCE2 Agile framework covers a wide range of agile concepts, including SCRUM, Kanban and Lean Startup. PRINCE2 Agile is an extension module tailored for forward-thinking organizations and individuals already benefiting from PRINCE2. It provides further guidance on how to apply agile methods to the world’s most recognized project management method. PRINCE2 Agile has been developed as a single-tier Practitioner qualification. The purpose of the Practitioner qualification is to demonstrate that you can apply and tailor PRINCE2 Agile in a scenario situation. The purpose of the Practitioner qualification is to demonstrate that you can apply and tailor PRINCE2 Agile in a scenario situation. As this qualification is aimed at supporting PRINCE2® practitioners working in an agile environment, prior knowledge of PRINCE2 is required, thus PRINCE2 Practitioner certification is required to be able to take this new qualification. This is seen very much as an extension unit for PRINCE2 Practitioners. The exam is aiming to measure whether a candidate could apply Agile approaches within a PRINCE2 environment. The exam is a 2.5-hour, open book exam. The purpose of the Practitioner qualification is to confirm you have achieved sufficient understanding of how to apply and tailor PRINCE2 Agile in a scenario situation.